The most known nuclear fuel is uranium because it is the most commonly used in nuclear fission reactors. Currently all nuclear reactors in production for the generation of electric power are fission. At another level, plutonium is also used as a nuclear fuel. Tritium and deuterium are light isotopes that are used in the process of nuclear fusion. Nuclear fusion, for the time being, is not sufficiently developed to be able to be applied in nuclear power plants although a nuclear fusion reactor (ITER project) is under construction for its study in France. During the operation of the reactor, the nuclear fuel atoms are progressively separated by the process of nuclear chain fission: the material is gradually transformed into other elements and / or isotopes, thus releasing thermal energy. This heat energy is used by a thermal machine suitable to mechanically drive a steam turbine coupled to an alternator, and thus produce electricity. Typically, the mass of nuclear fuel present in the reactor reaches the so-called critical mass, that is, the amount needed to initiate a chain reaction that is stably self-sufficient. 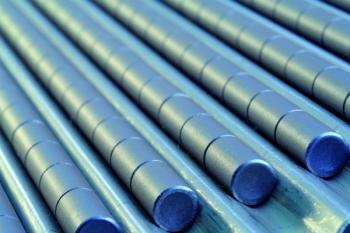 Nuclear fuel is usually placed in rods in the reactor. This is to facilitate their transport, both to alternate the fuel with moderation and the control rods and to facilitate their extraction at the end of the cycle. The fissionable material must be placed with a geometric arrangement that maximizes the efficiency of the chain effect, taking into account the need to leave enough space to insert the moderator. During the design phase of a nuclear reactor, it is also necessary to leave room for the control rods and diagnostic devices. From a purely theoretical point of view, the ideal form would be the spherical one. However, reasons of a practical and constructive nature make us inclined towards other solutions: a cylindrical shape is usually used, obtained by the combination of a large number of bars. Unlike traditional fuel (fossil fuels such as coal, oil, natural gas or wood), the fuel consumption in a nuclear reactor is very slow and, once charged, it usually lasts for years (depending on the type of reactor and its use). On the other hand, refueling operations are considerably more complex. Unlike what happens with other types of fuels, the product of the reaction (the so-called slag) is not dispersed, but remains mainly within the immediately adjacent bars or elements. As the time progresses, the bars become increasingly poor in fissionable material, until they reach a point where it is no longer efficient to exploit them and must be replaced. Depending on the geometry of the reactor, it can happen that a part of the fuel runs out faster than other parts: in general, the central part runs out faster than the external part. The configuration of the bar is useful in this case because it allows the replacement only of the most exhausted parts. Exhausted rods, as well as material in the vicinity, have become highly radioactive due to the presence of fission products generated by the reactions, as well as to other material that can be activated during the neutron capture process or as a result of other similar processes. The removal of spent rods is, therefore, the most complex part of the dismantling of the nuclear reactor slag. Physical aspects that convert uranium is the most used nuclear fuel in nuclear fission reactions. Tritium is a radioactive isotope of hydrogen. Used as nuclear fuel for energy production by nuclear fusion.